CrowdDeliberation is part of the CrowdApps Services Line for enabling two-way communications between Organizations of the Public Sector (e.g. Municipalities) and the Crowd (e.g. citizens), offering a platform for collaborative and constructive decision, policy and strategy making. 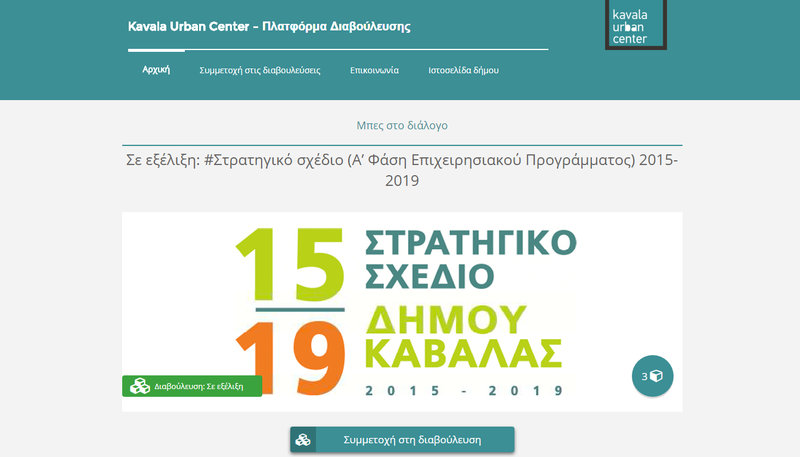 We have implemented CrowdDeliberation Projects for big municipalities in Greece, such as for the Municipality of Nea-Smyrni, Moschato-Tavros and Kavala. The CrowdDeliberation platform can also be parameterized for the purposes of the Private Sector as well.